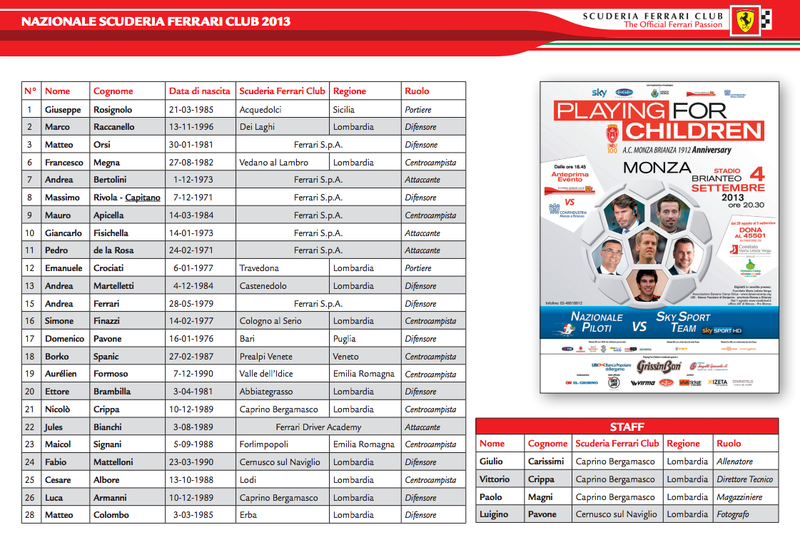 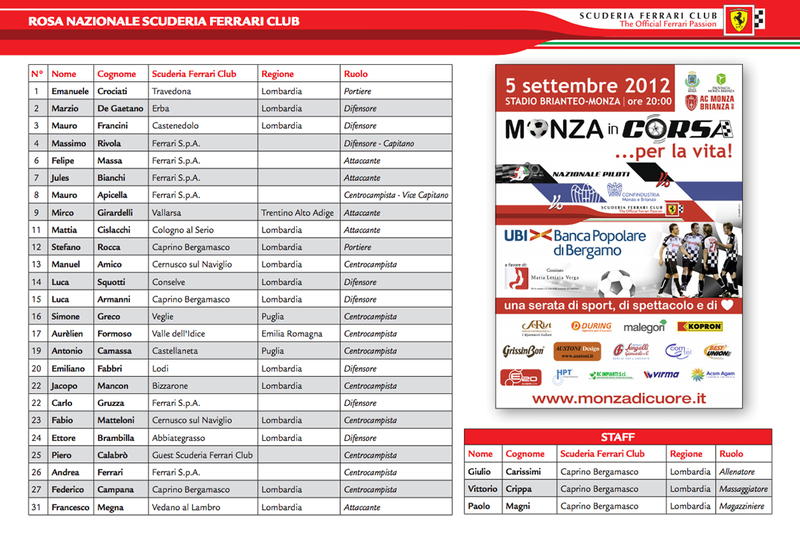 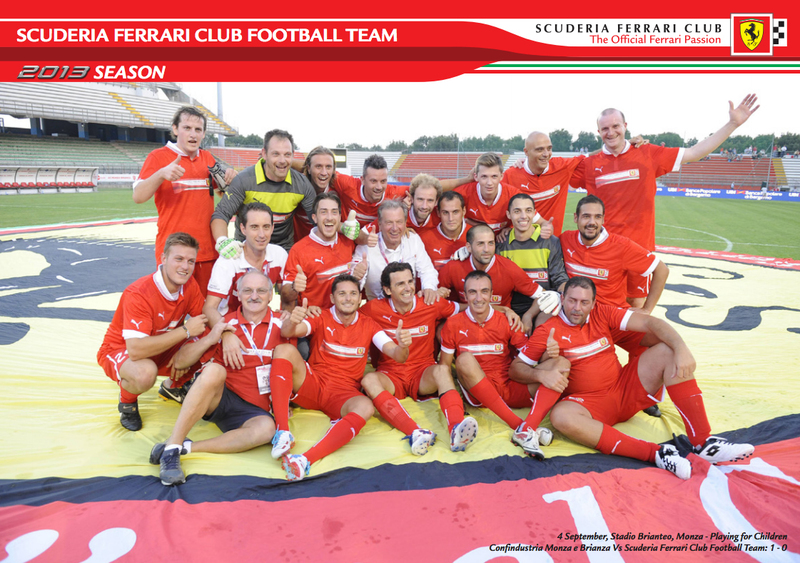 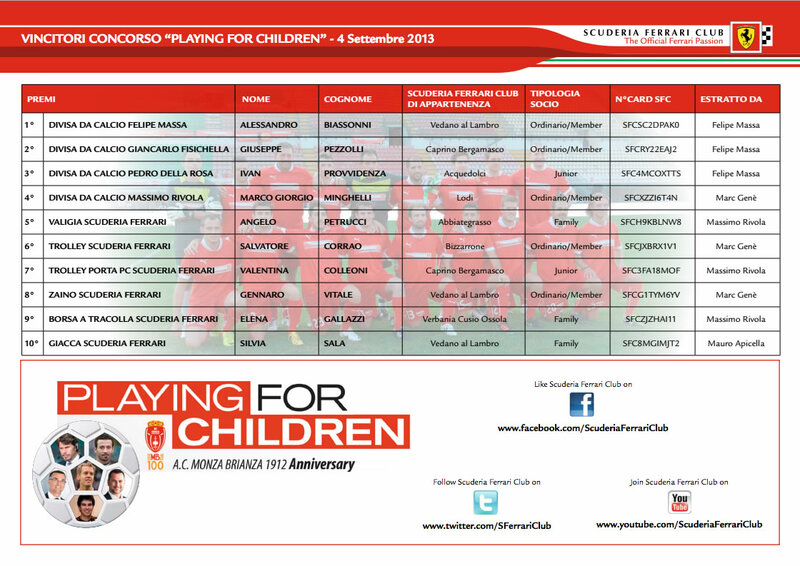 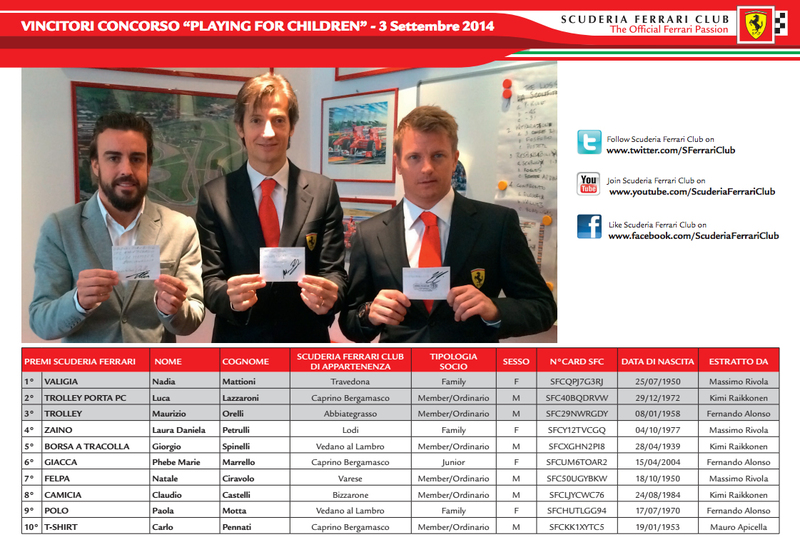 Founded in 2009, the Scuderia Ferrari Club Football Team is made up of Scuderia Ferrari Club members from all over the world. 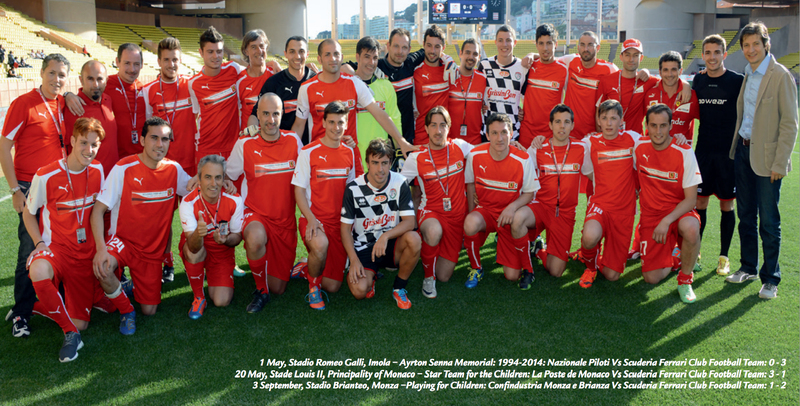 Managed directly by the Company, the SFC team has played many other respected teams over the last few years, including the Nazionale Piloti, the Principality of Monaco’s World Star Team and the Sky Sport Team, in such prestigious venues as Monza’s Biranteo, the Louis II in Monaco and the Juventus Stadium in Turin. 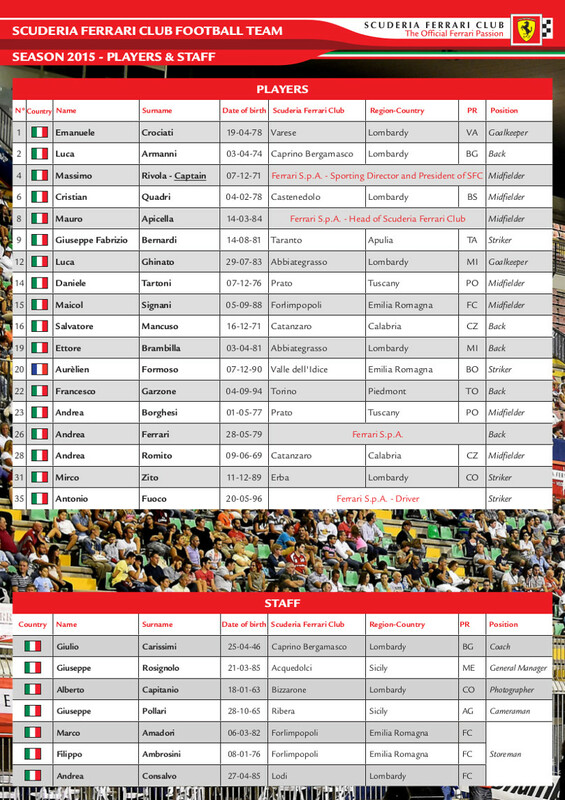 All of the matches have been charity events and the team was founded specifically to help raise funds and awareness for people in need. 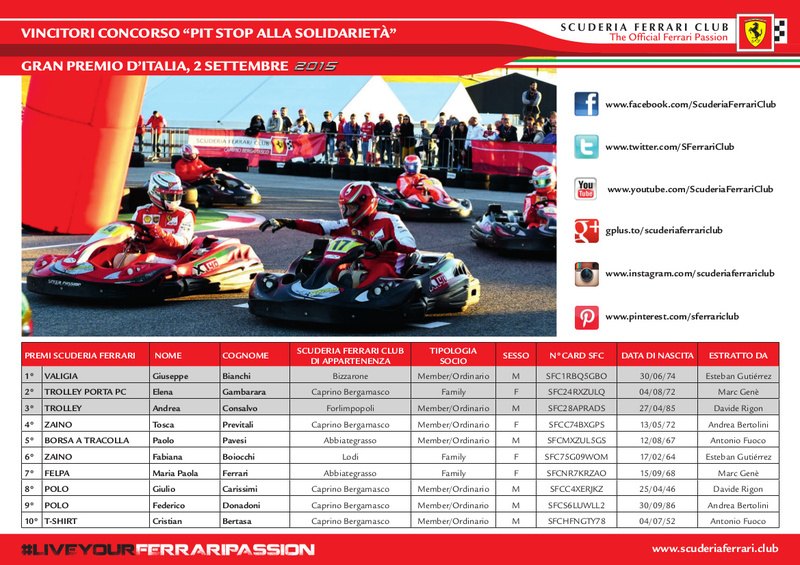 In fact, that spirit of solidarity is the real driving force of the team. 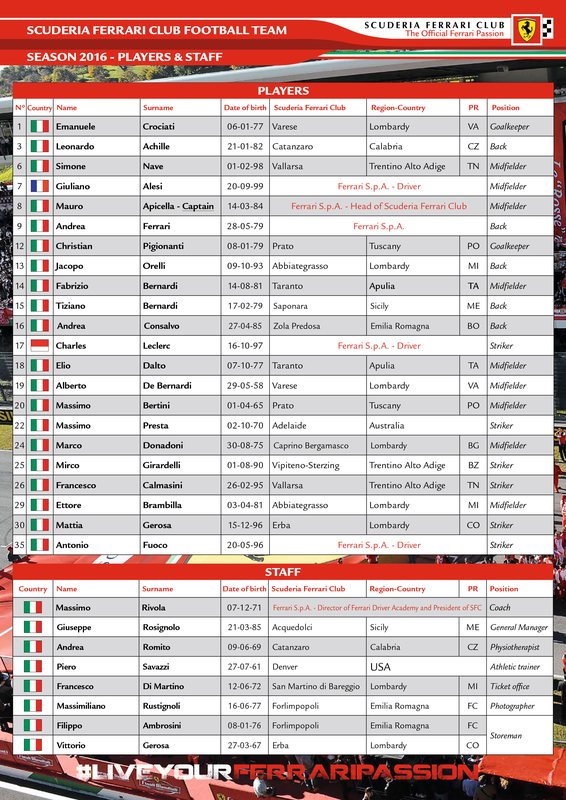 In that same spirit, the Scuderia Ferrari Club Football Team has attracted to its line-up Scuderia Ferrari drivers such as Fernando Alonso, Felipe Massa, Giancarlo Fisichella, Pedro De La Rosa, Jules Bianchi, Raffaele Marciello, Antonio Fuoco and Ferrari Driver Academy chief and SFC President Massimo Rivola (Captain). 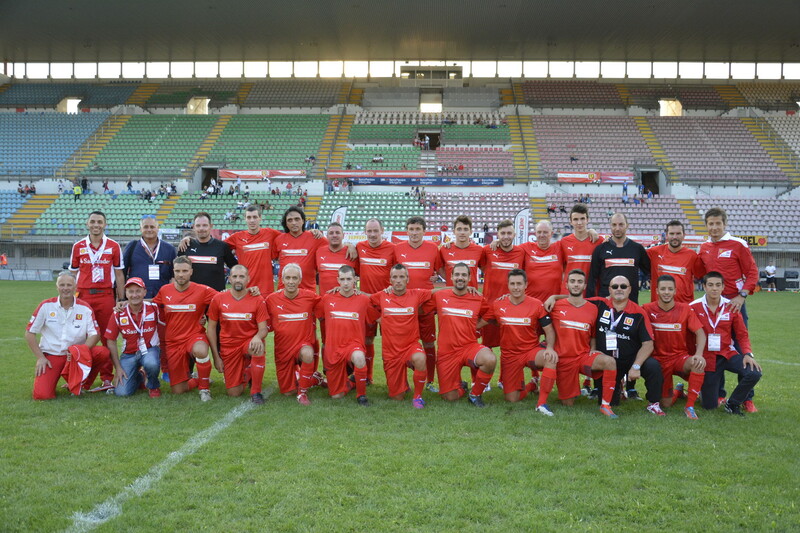 Others have included celebrities DJ Ringo and maestro Ivo Zanotti for various games. 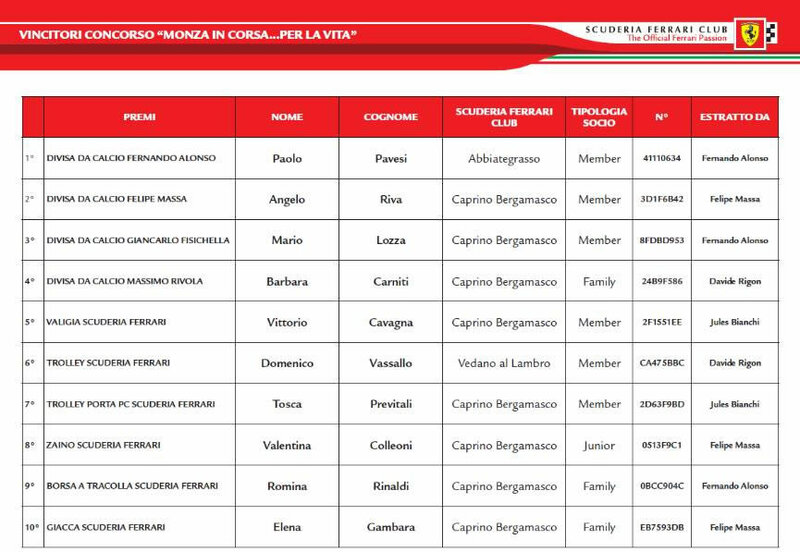 The team has also brought prestigious trophies back to Maranello for its efforts. 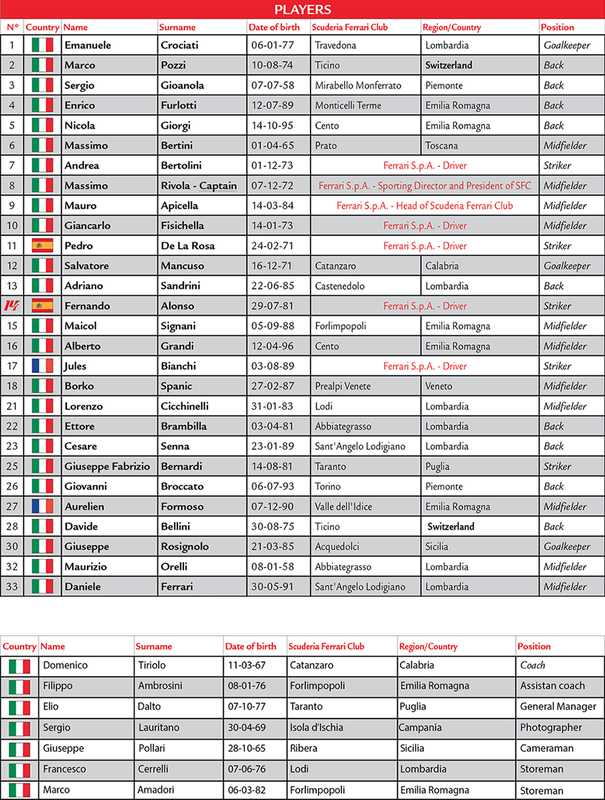 Its long string of wins include the “Ayrton Senna Tribute 1994-2014” held between May 1 and 4 at the Autodromo Enzo e Dino Ferrari at Imola (BO), in which the SFC played a leading role. 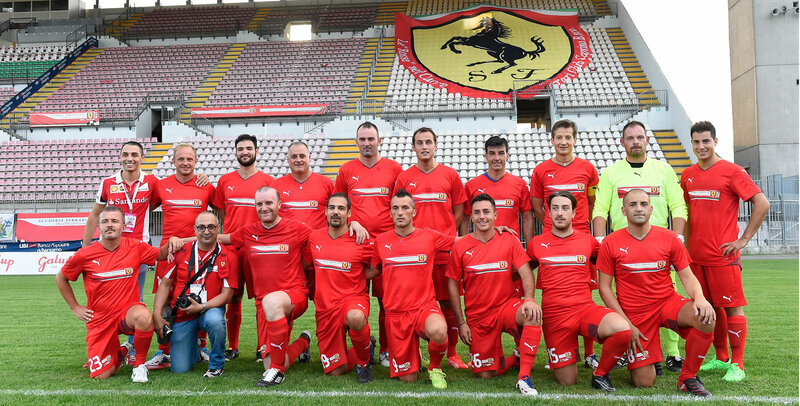 The Team naturally has drawn in all the Ferrari Tifosi – the latter have found themselves moving from the circuits to football stadiums, bringing with them the same power and passion that turn the grandstands Ferrari red. 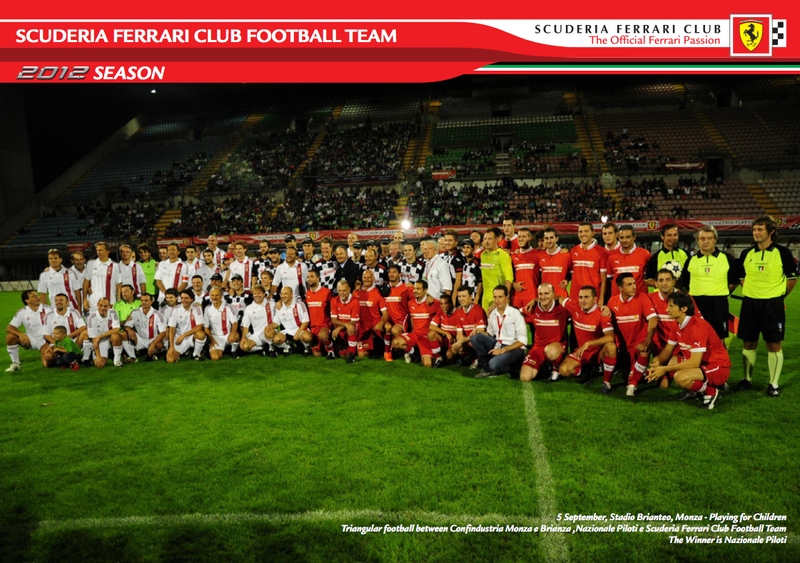 Changing the line-up from year to year gives SFC members the opportunity to experience the world’s most popular sport along with their passion for Ferrari.